It seems that we are living in the era of the going-on-a-diet society. Losing weight tips have become the most popular columns in the magazines and the most frequent requests in Google search engine. Different opinions have been formed concerning pieces of advice of what to eat and what to avoid, the best diets and their influence. The following facts are aimed at dispelling the most widespread diet myths and are calling people to eat healthily. Dairy products should be excluded from your diet ration. Despite dairy products are high fat and contain a lot of calories, they still remain to be a nourishing source of protein and calcium. In reality, the balanced consumption of low-fat versions of dairy products, which contain the already mentioned calcium, stimulates the body to break down fat in a more efficient way. Diet foods make losing weight more realistic. There is a common misconception popular among people trying to lose weight. It suggests the idea that the so-called law-fat, artificially sweetened food, fillers and other fake foods are law-cal, too. However, if to check the diet product’s nutrition label and compare it with the full-fat products, you will understand that it is healthier to eat a small amount of a real thing rather than over-consume the law-fat foods and bring harm to your health. “To lose weight, eat organic food” is a slogan of people knowing nothing about the food industry. Let’s dispel the myth about the impact organic food has on weight loss. The most significant thing you should know about organic food is that it is not calories free, but pesticides and GMO free. Hence, eating organic butter, flour, sugar and etc. is still consuming huge amounts of calories, which won’t lead you to the weight loss unless this consumption is balanced. Stick to your diet plan in order to get rid of extra kilos. Most people, who go on a diet believe that a diet plan you paid for is more effective in comparison to diet plans you’ve found on the Internet or your friend shared with you. On the one hand, a paid diet plan based on your specific health indicators will definitely work better. On the other hand, only a small number of people would waste money on medical examination before they decide to go on a diet.The UCLA studies show that people using diet plans succeed in losing weight only for a certain period of time and regain it after they stop following that plan. In order to take off some weight and maintain that lighter weight for a long time, it is essential to change the way you eat and drink forever while regularly exercising. Start going on a diet on Monday or the first day of a month. Such a way of thinking won’t lead you to great results in losing weight. Since you plan to begin following some diet, you plan to finish it as well. And this is a wrong approach! 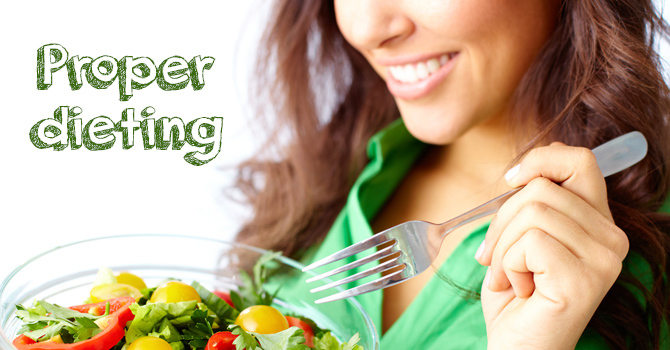 As it was already discussed in the previous dieting myth, you should change your food habits on a permanent basis. Otherwise, your goal to lose some weight will remain unachievable.